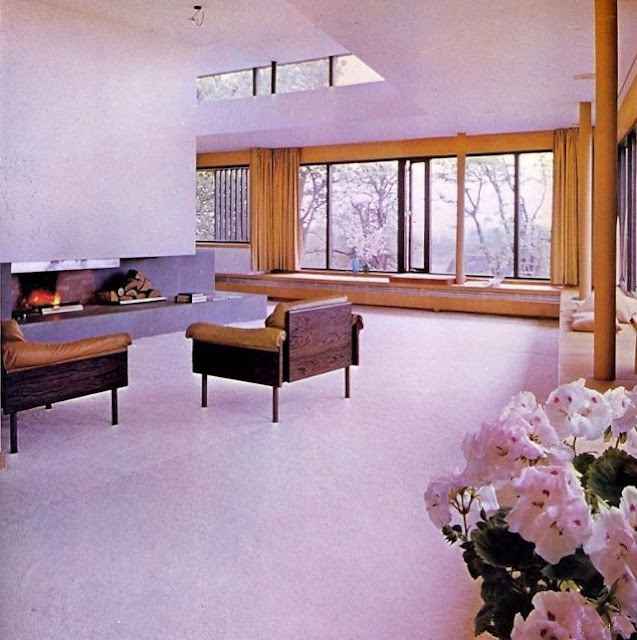 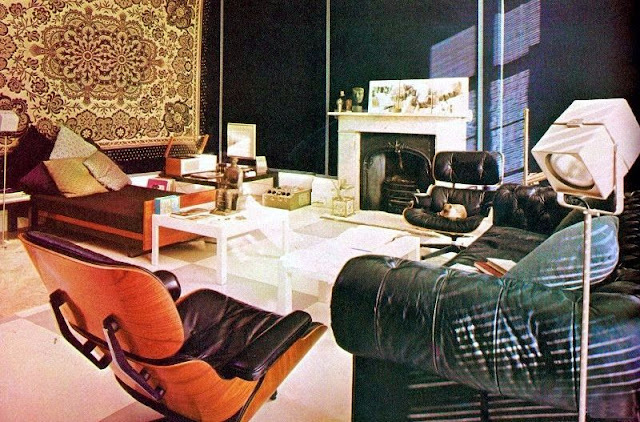 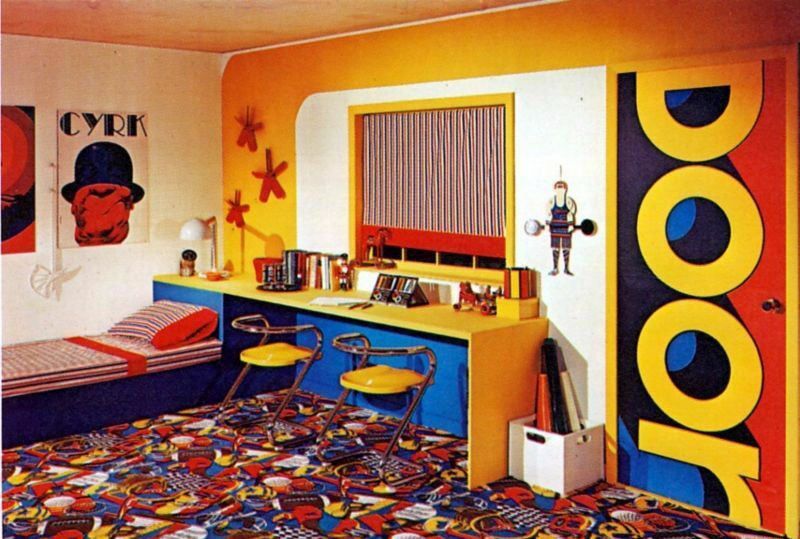 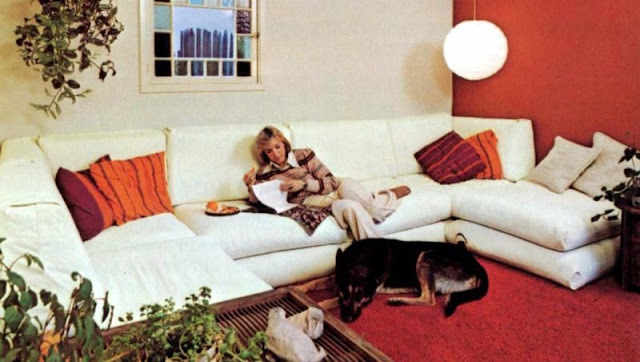 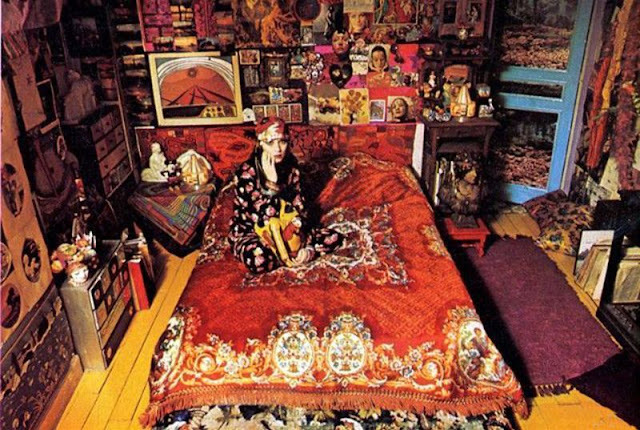 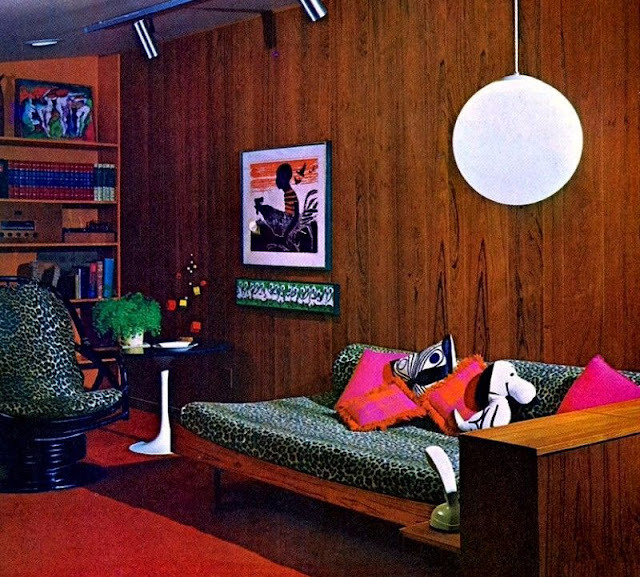 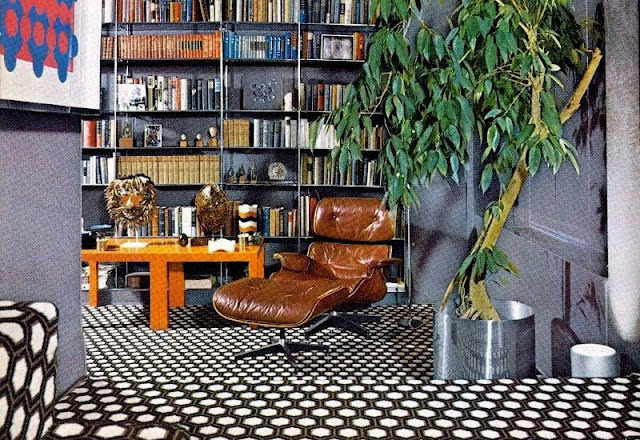 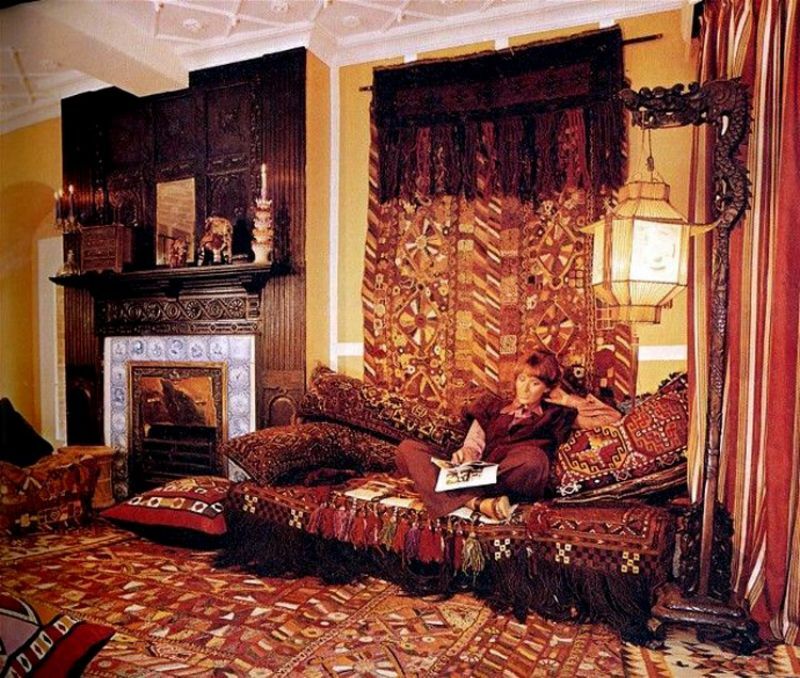 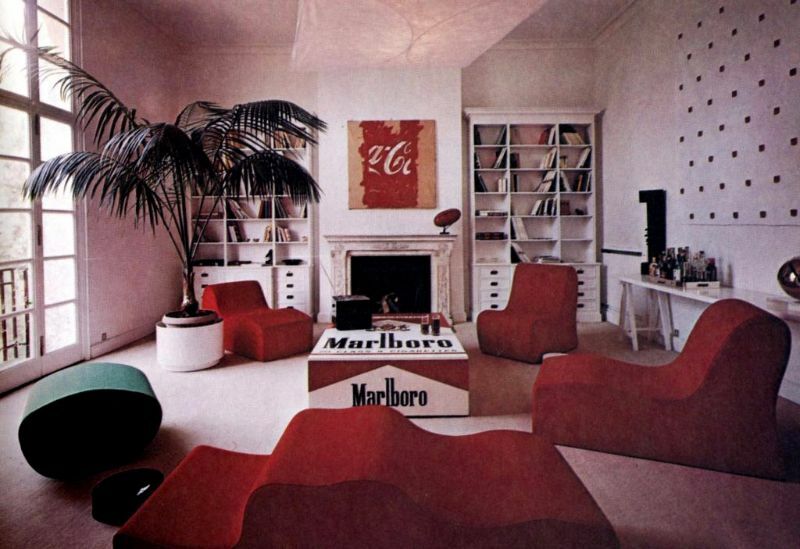 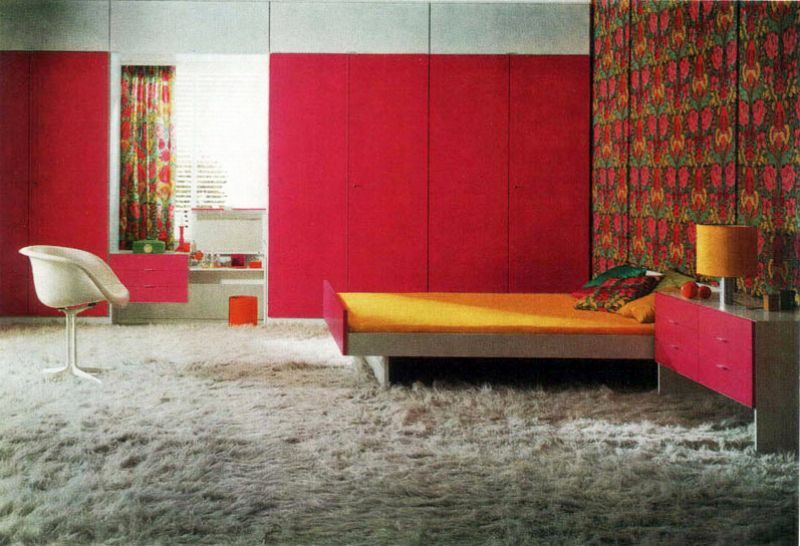 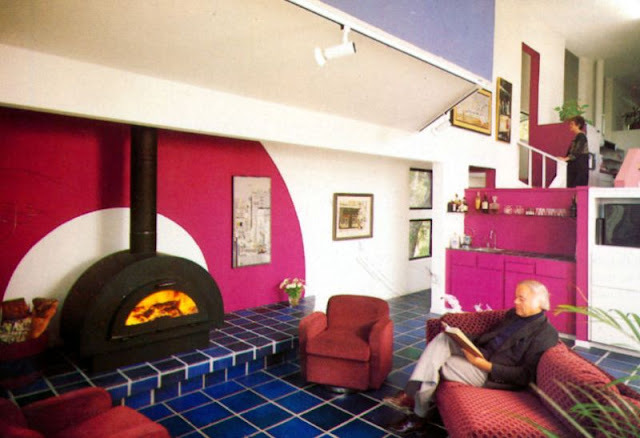 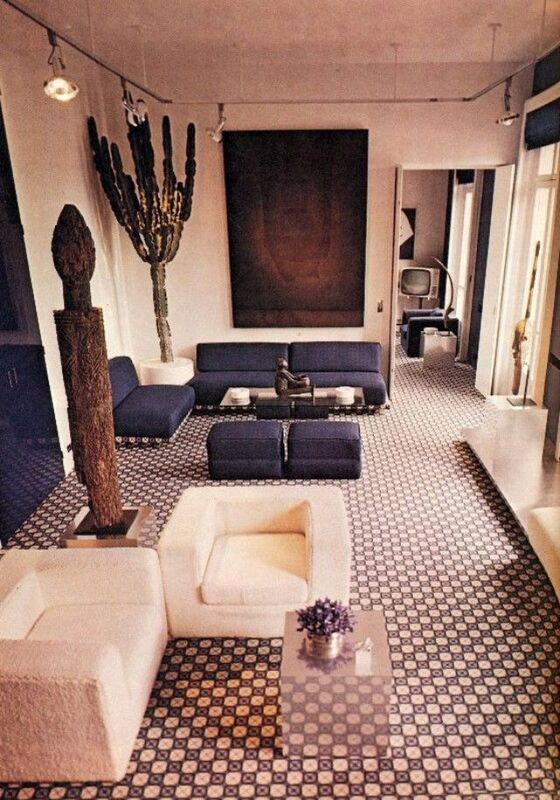 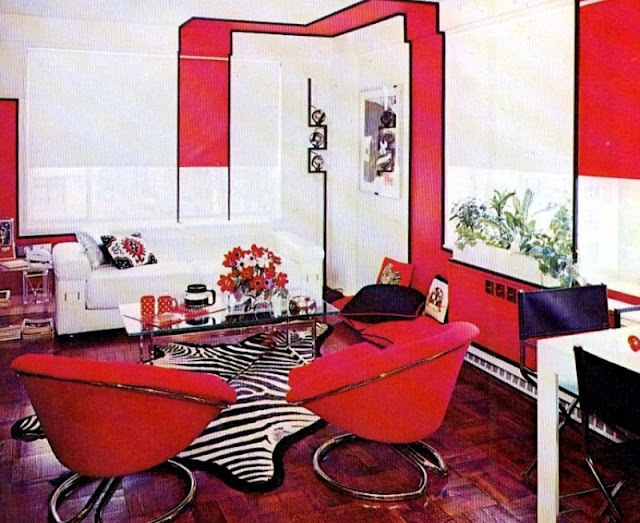 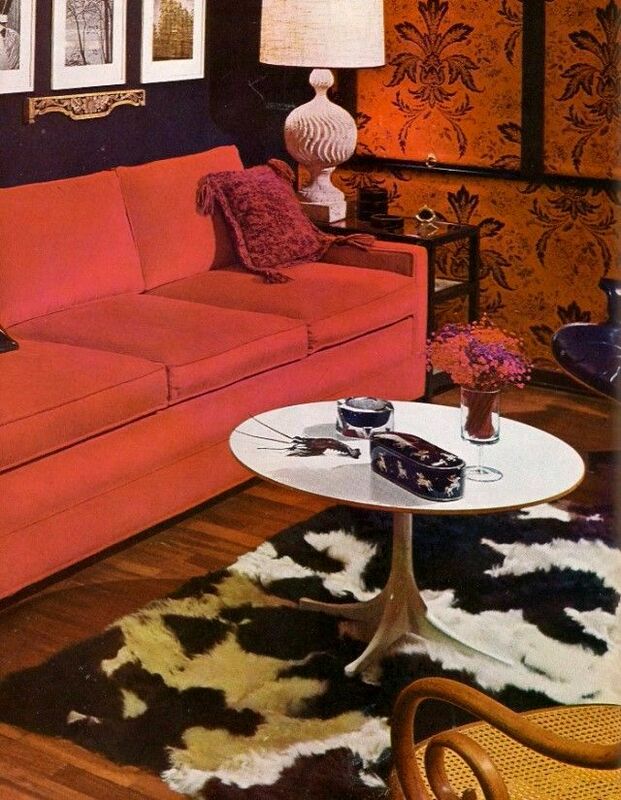 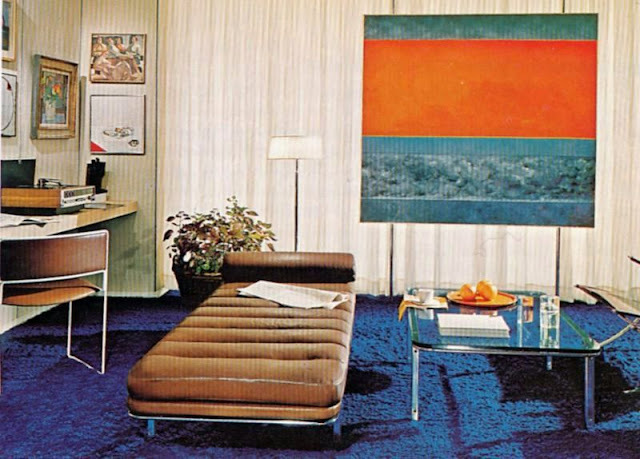 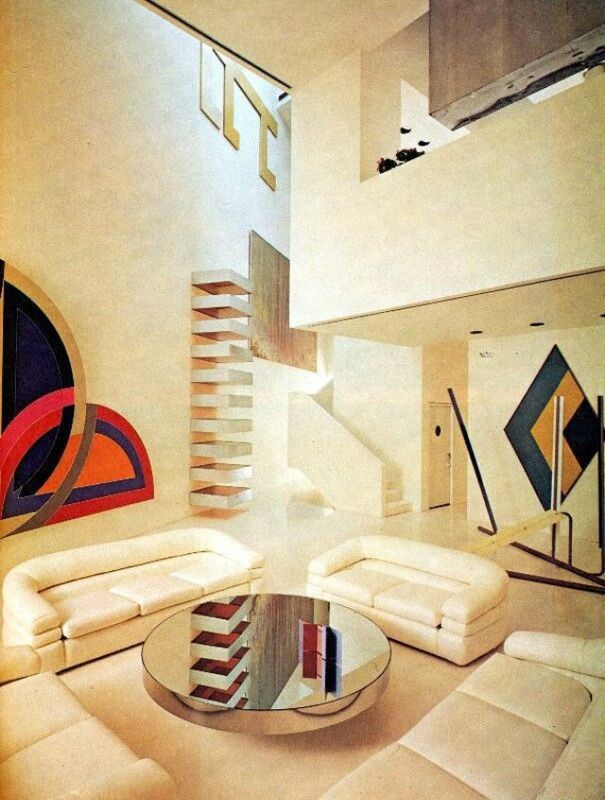 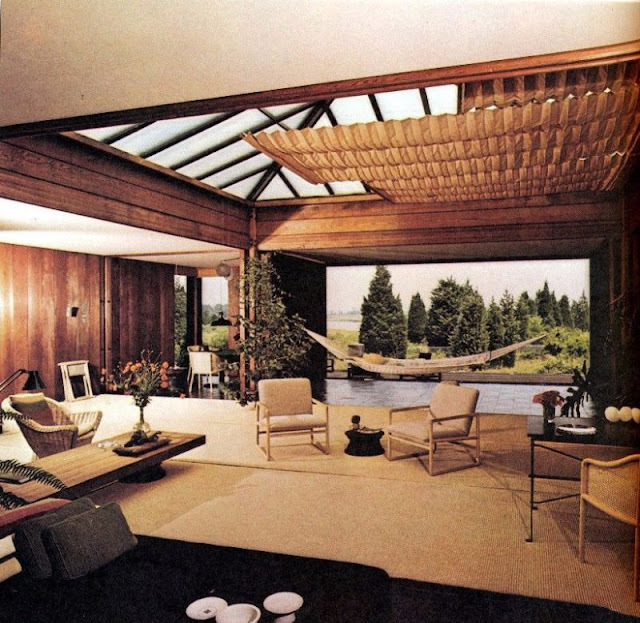 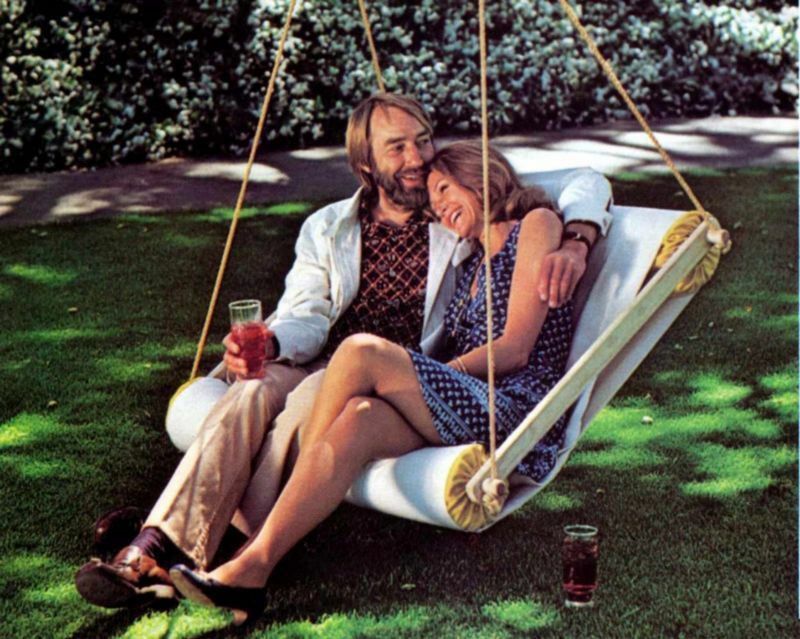 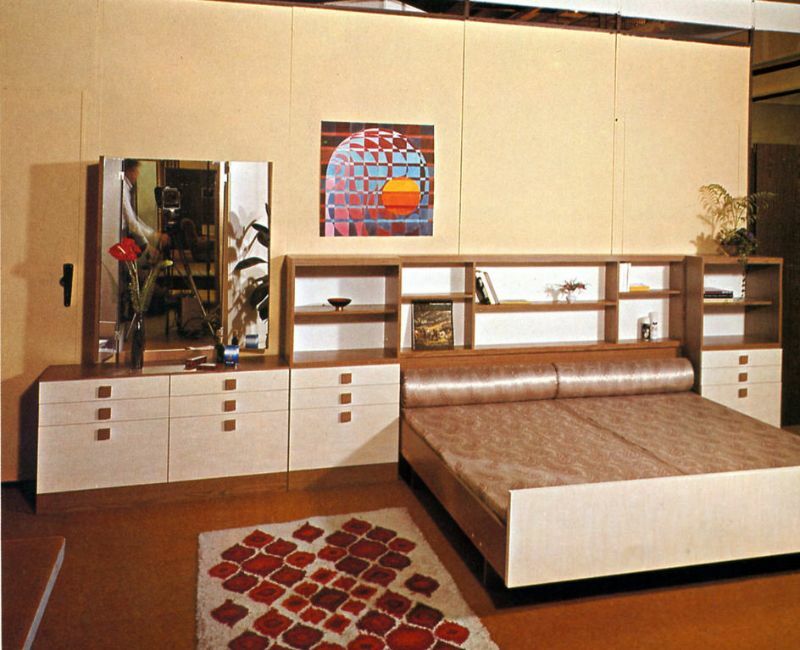 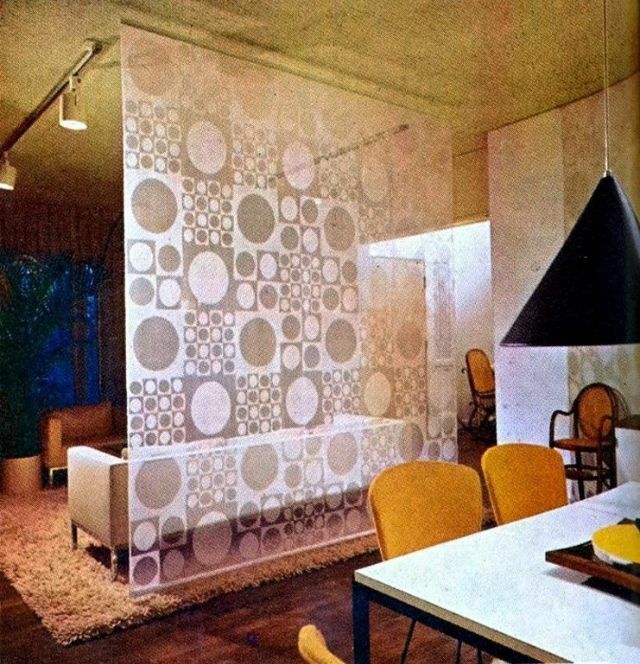 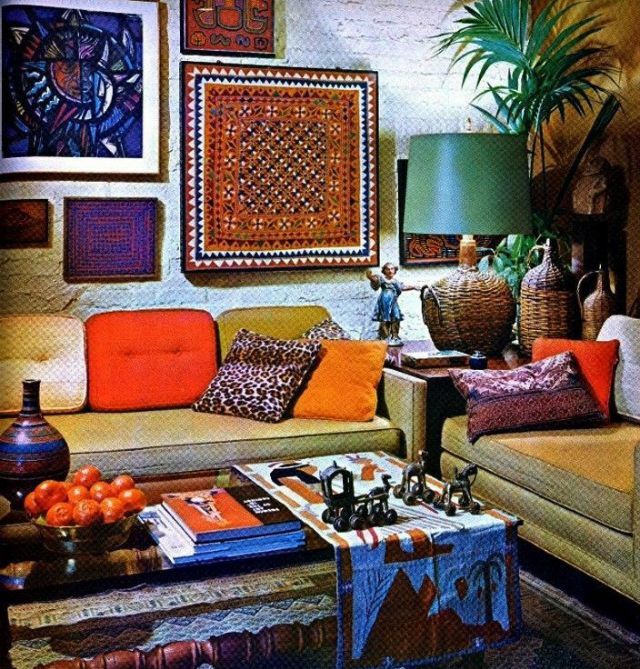 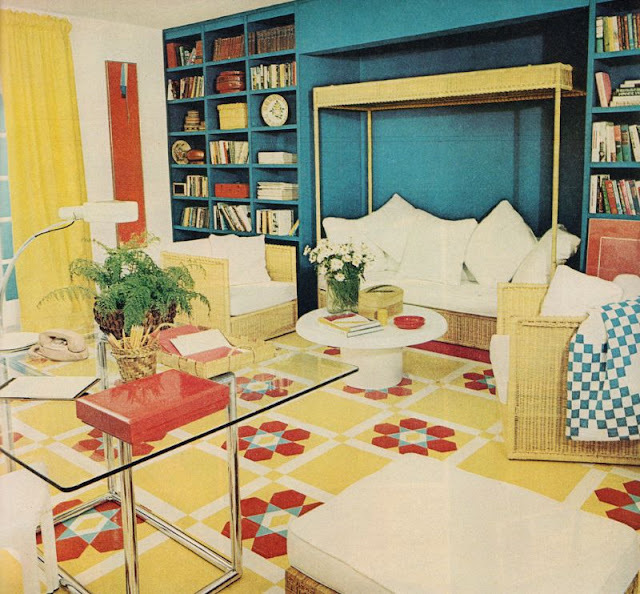 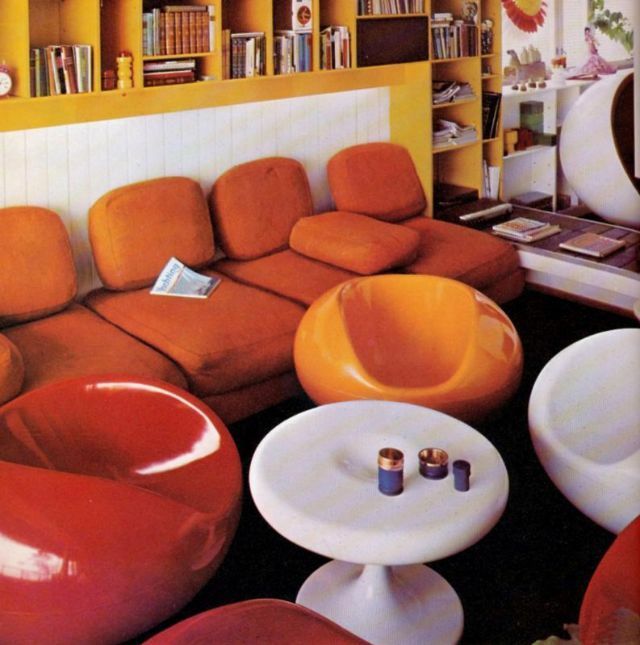 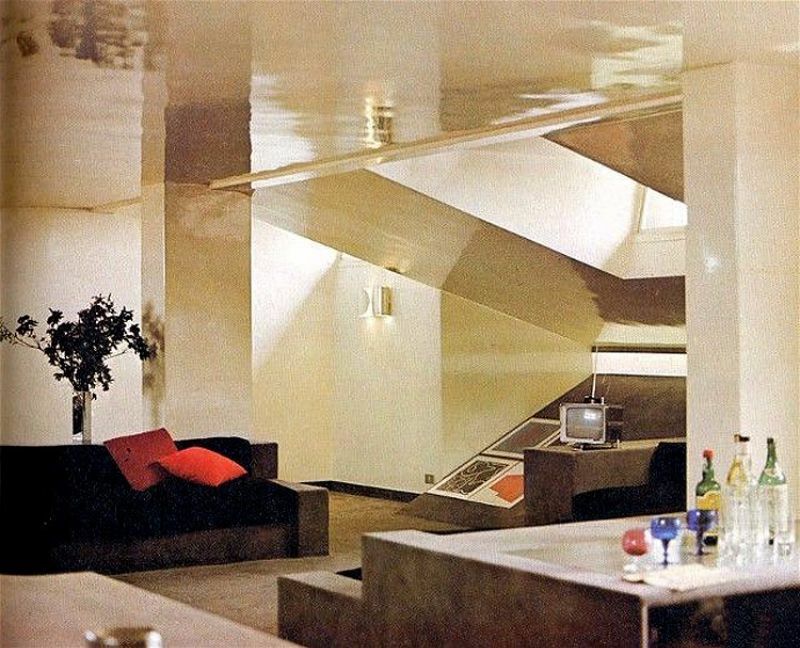 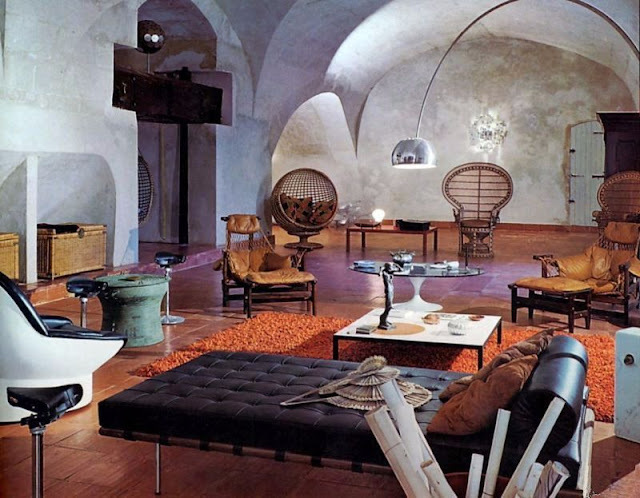 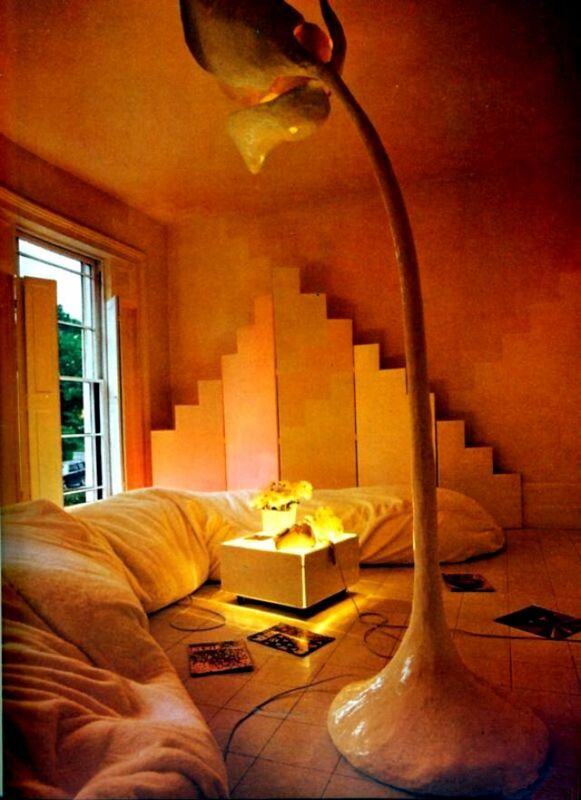 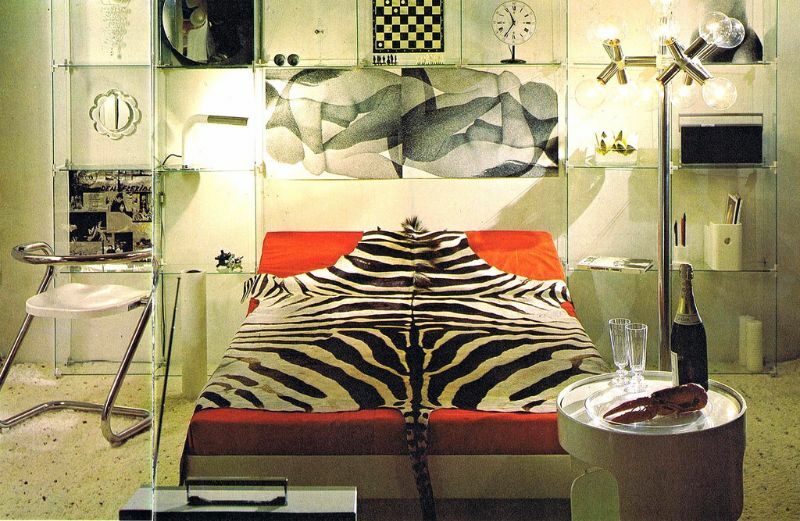 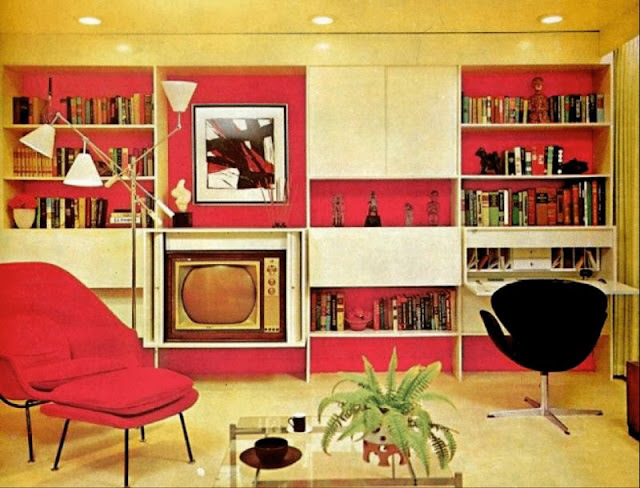 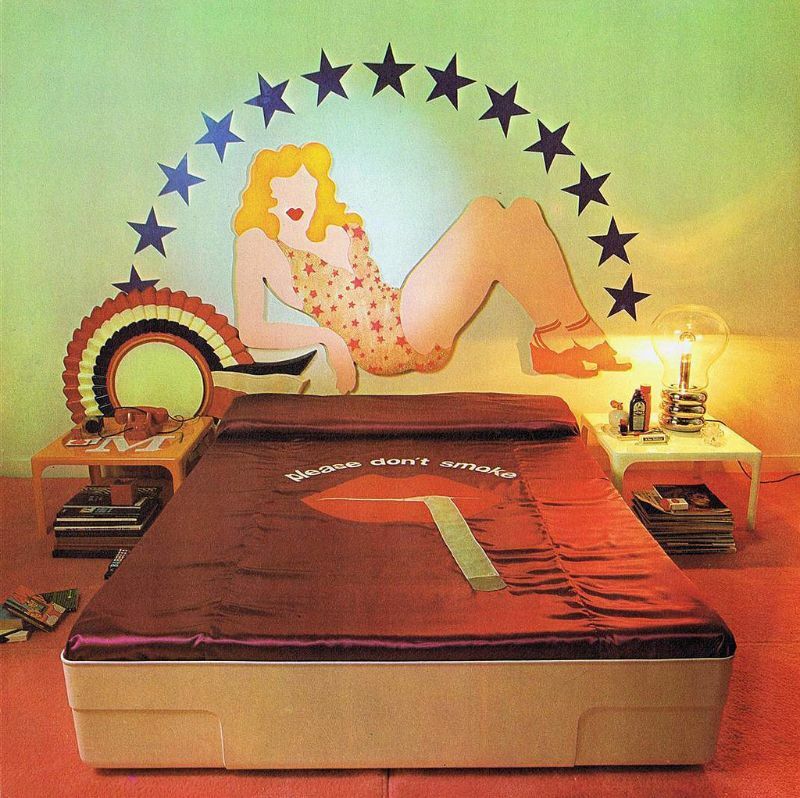 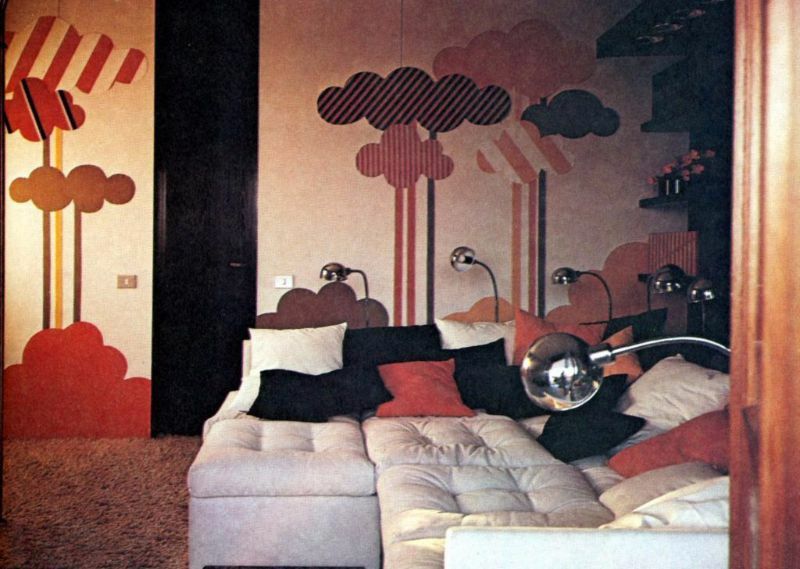 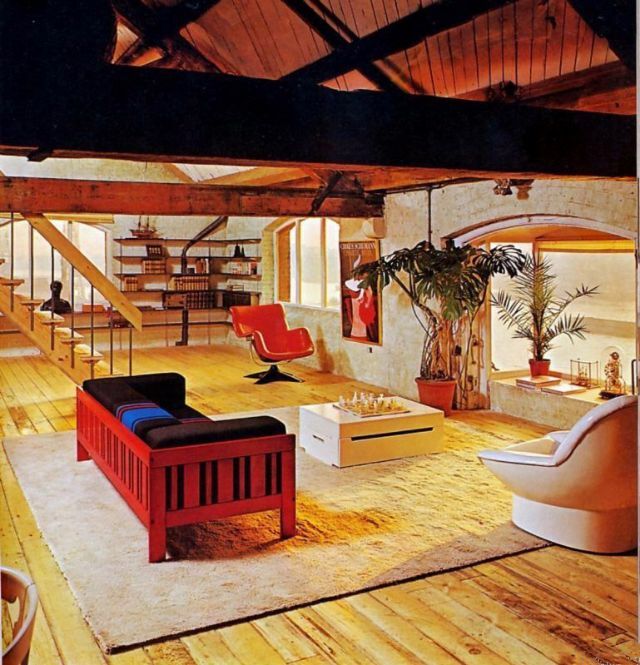 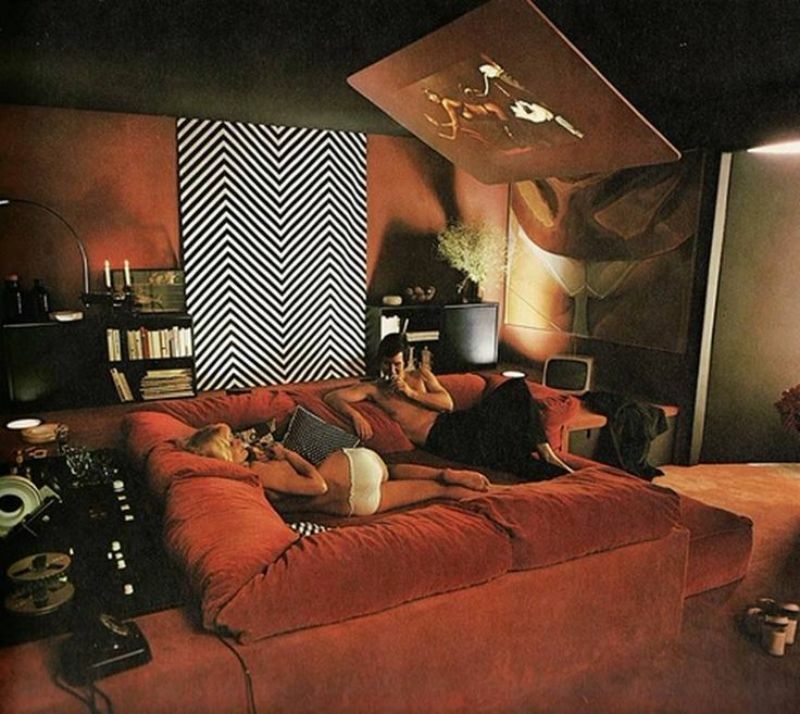 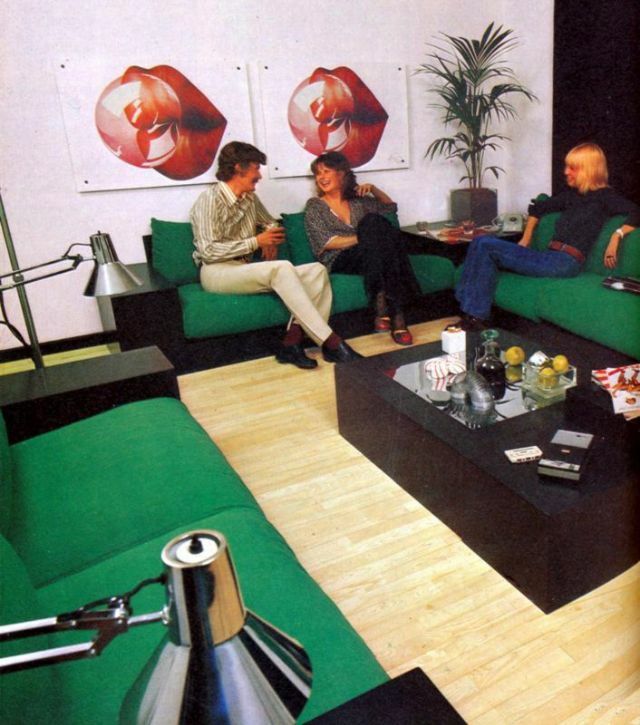 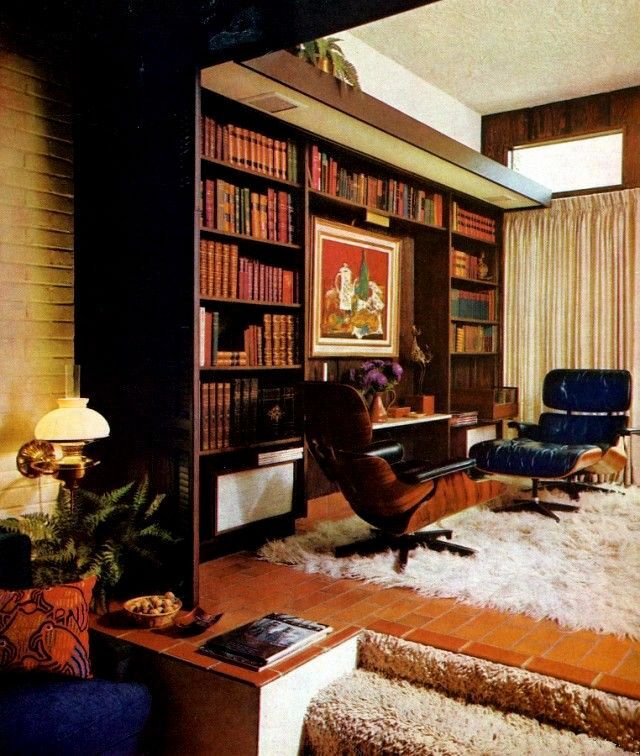 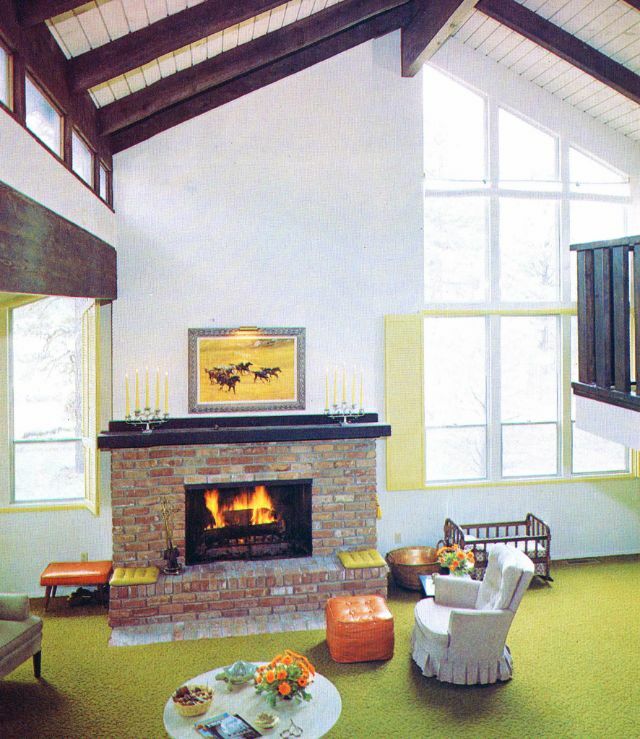 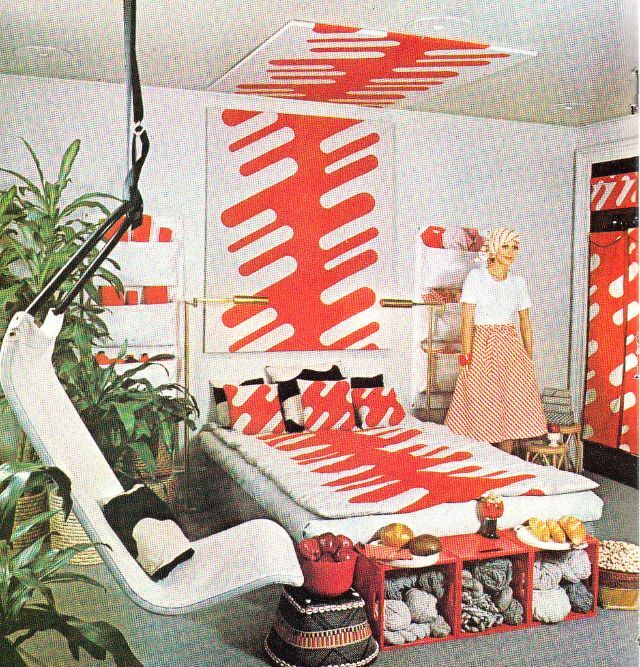 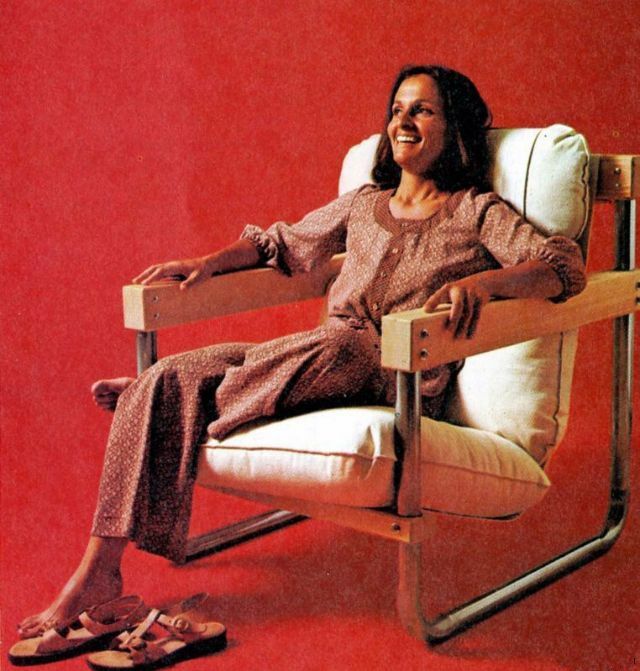 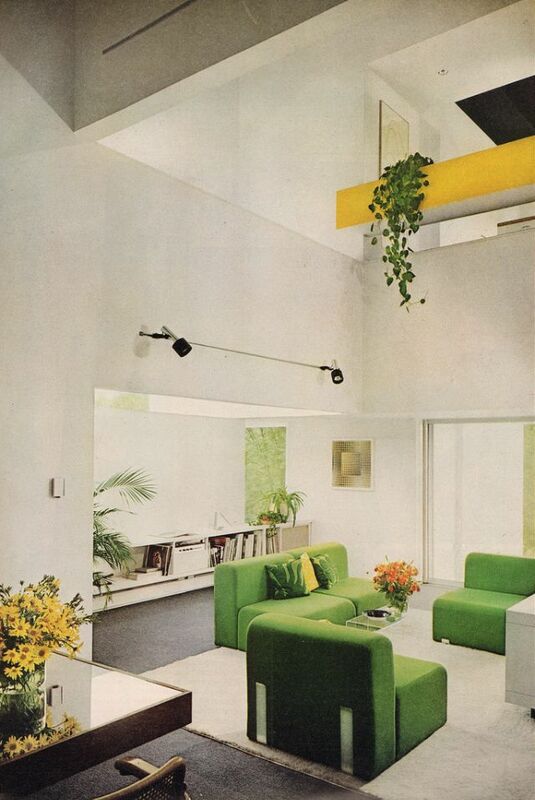 Furniture of the 1970s was full of bright colors, lava lamps, flares and flower power. 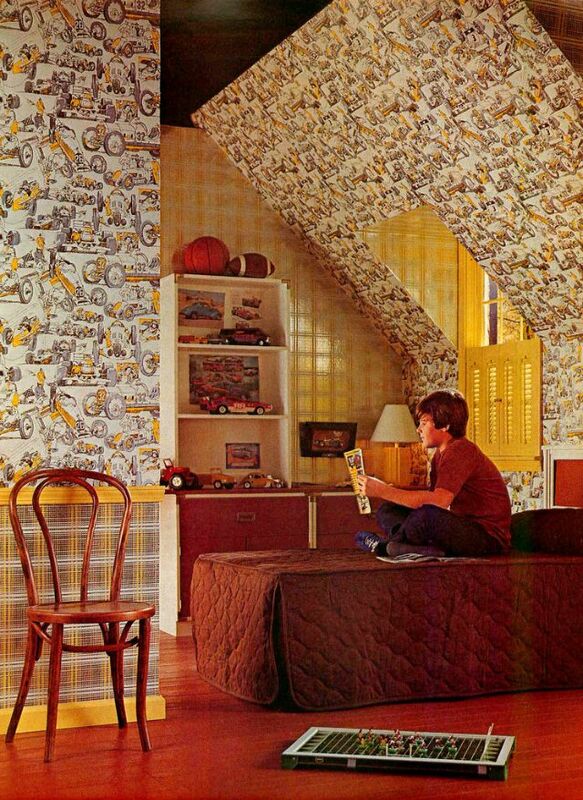 Patterned prints including geometric shapes and stripes were common in most family homes. 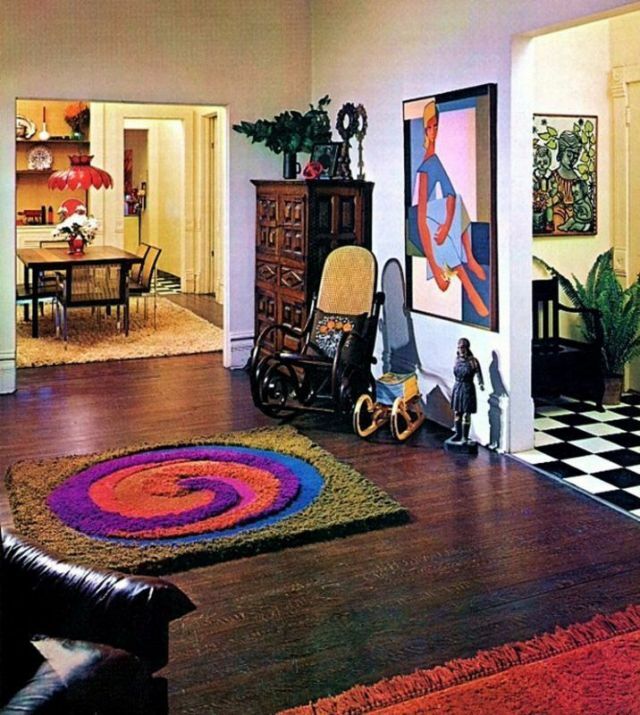 Vibrancy was key in this era. 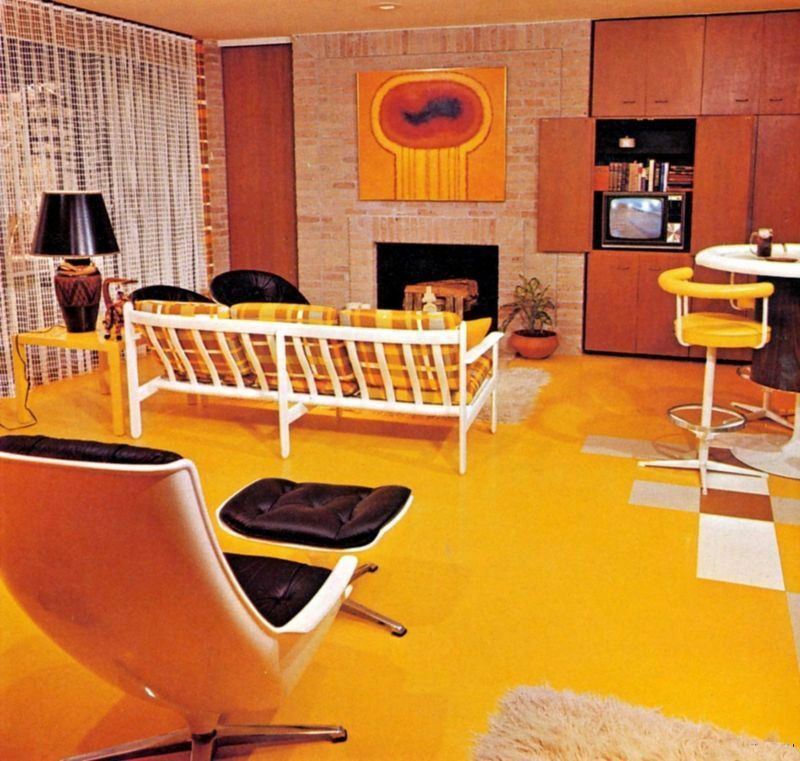 Curvy and bold designs were popular, including tub chairs and metallic bar stools were heavily featured in living rooms across the country. 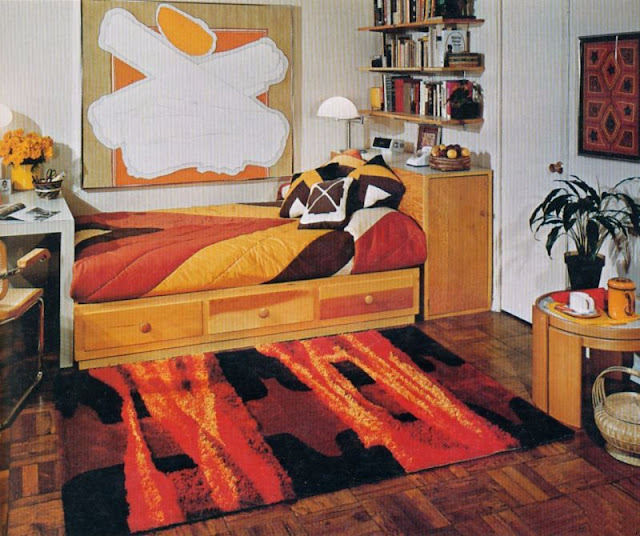 And don't forget shaggy rugs. Another major aspect of 1970s furniture is the use of teak wood. 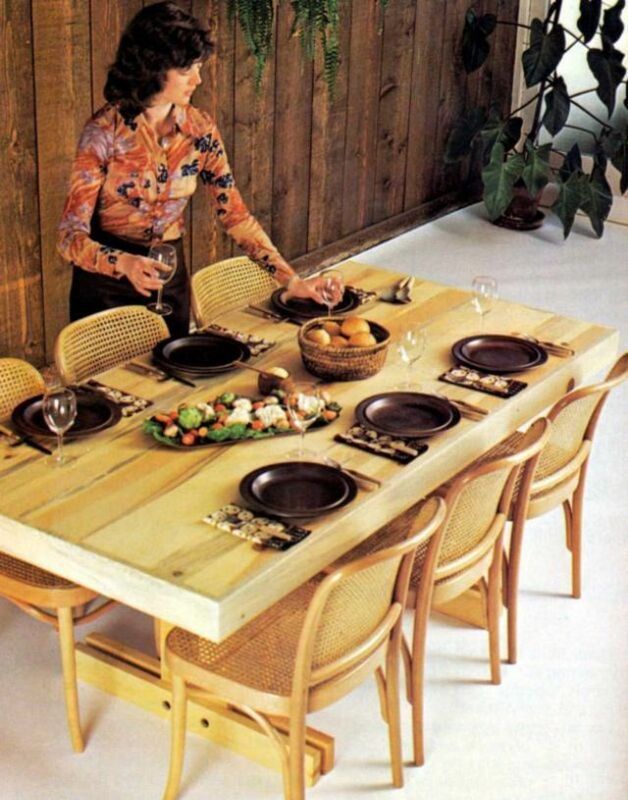 The use of teak in fashionable furniture and panelling regained popularity in the 1960s and items became chunkier as it progressed into the 1970s. 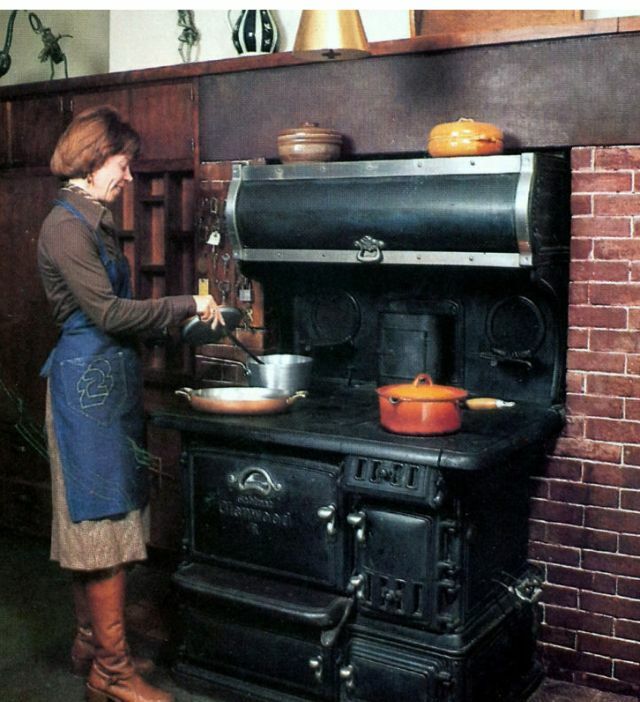 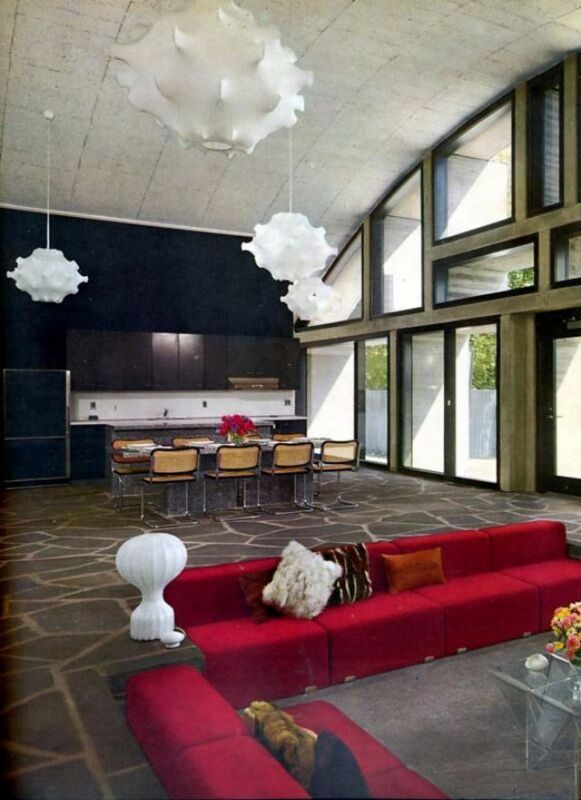 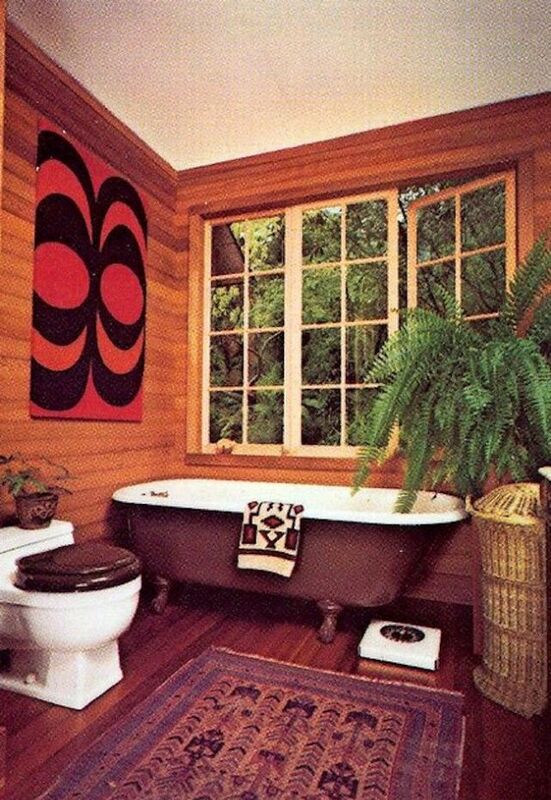 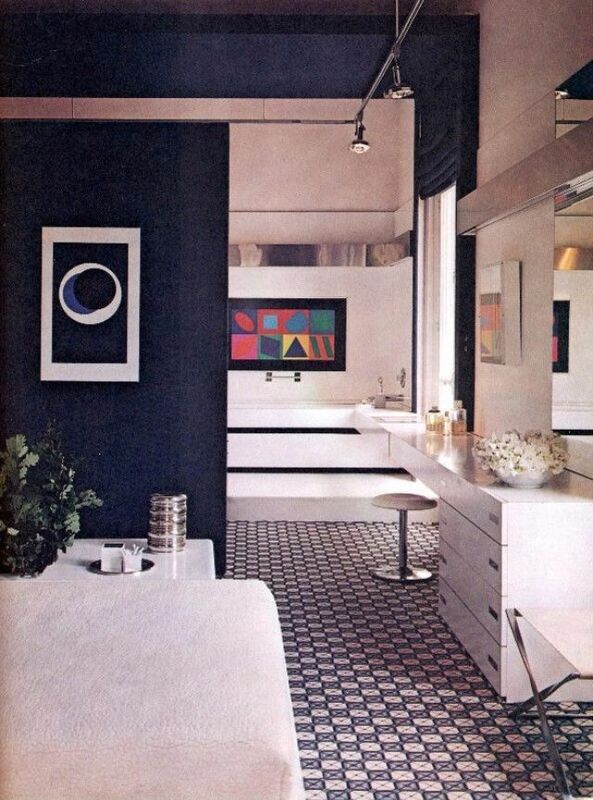 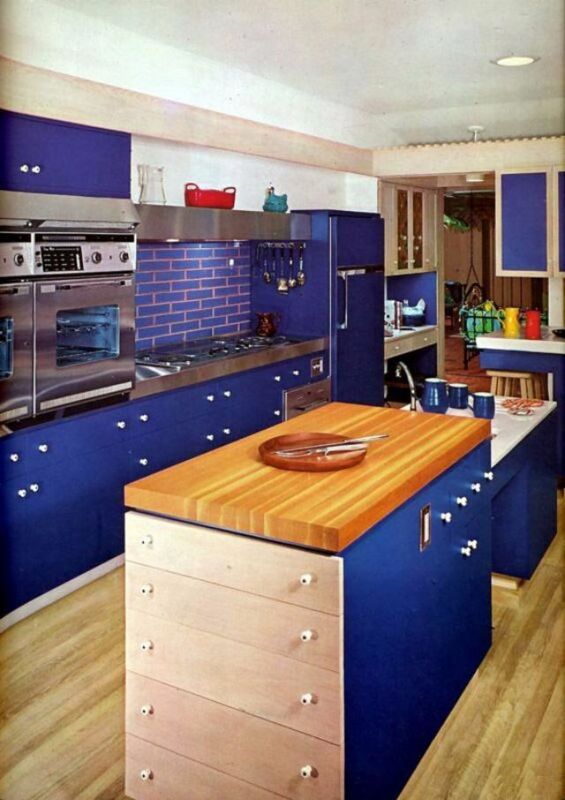 Because of the popularity of wood in homes, dark color palettes also became more widely used as the 1970s progressed. 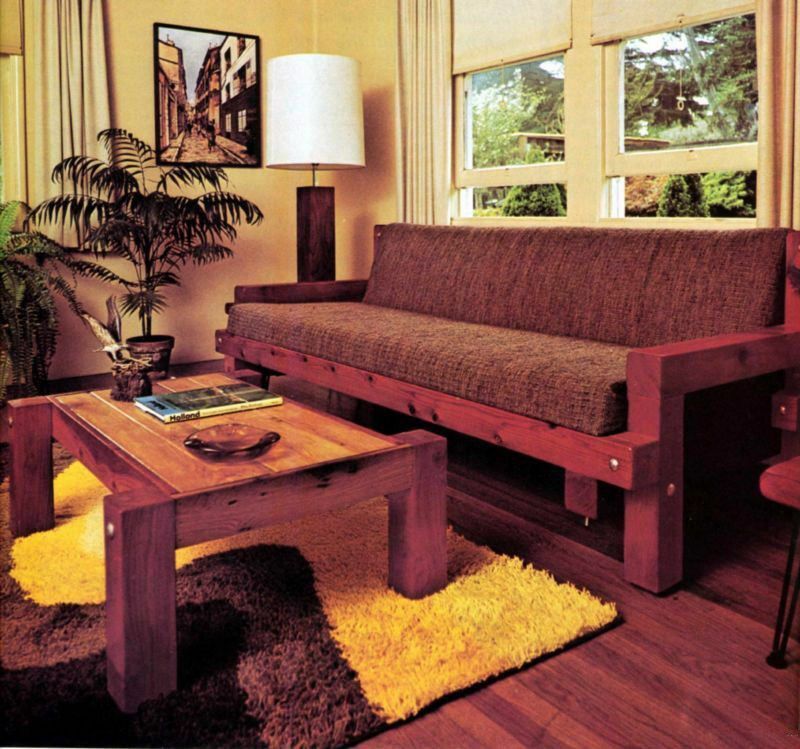 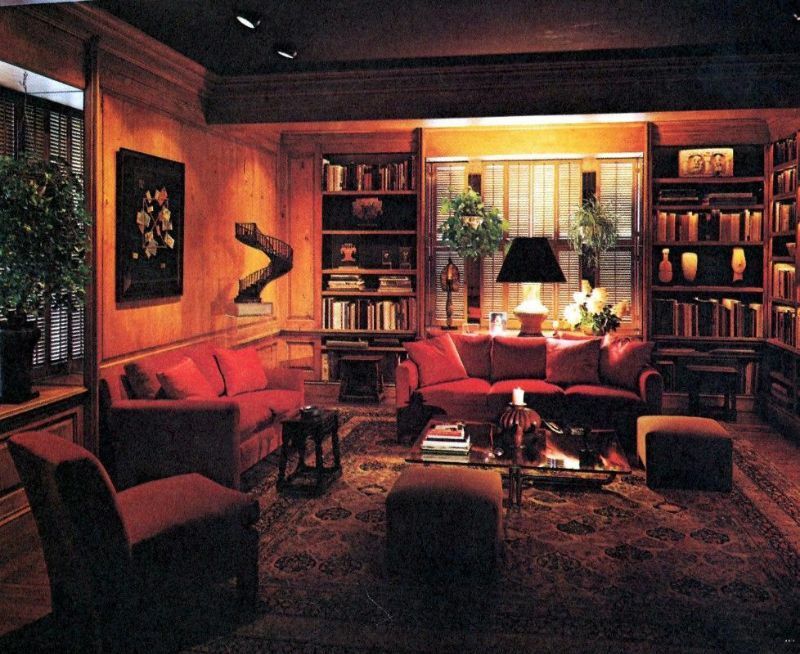 In the mid-to-late 1970s, pine wood began to replace teak wood, and color palettes became even darker. 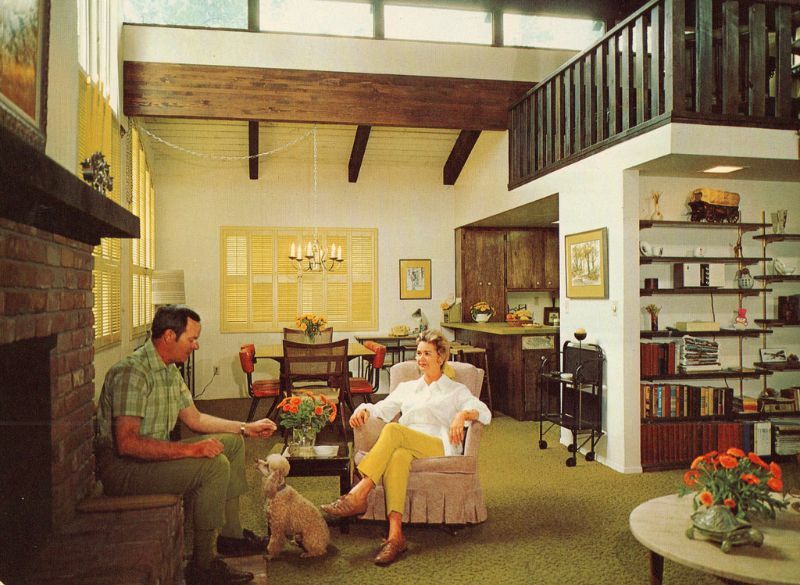 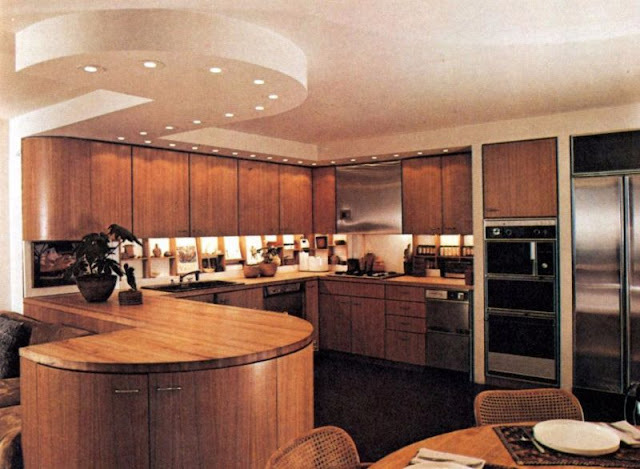 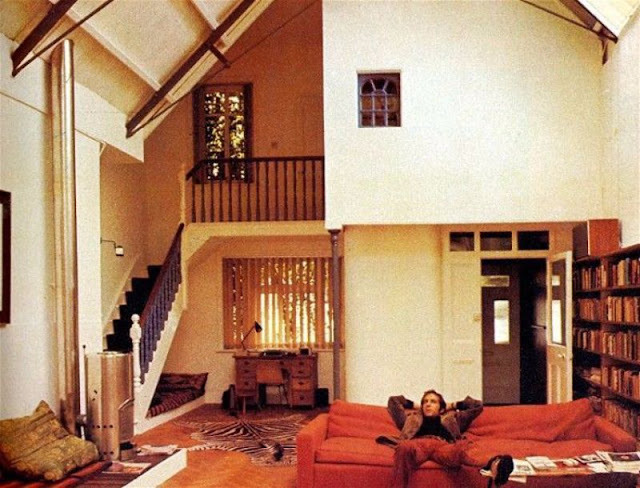 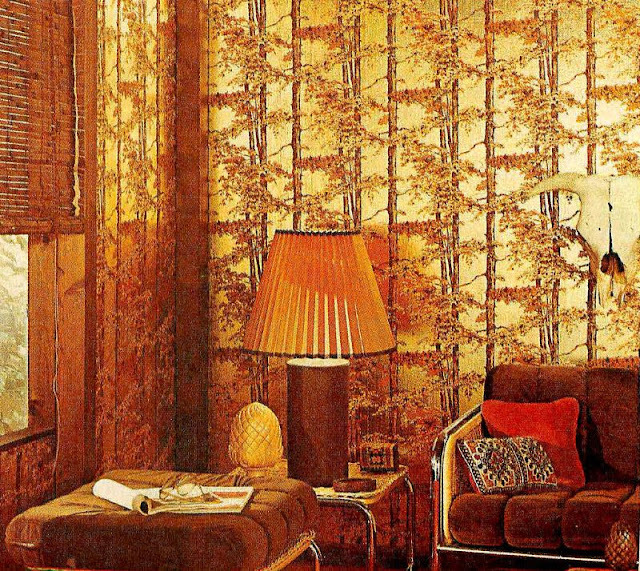 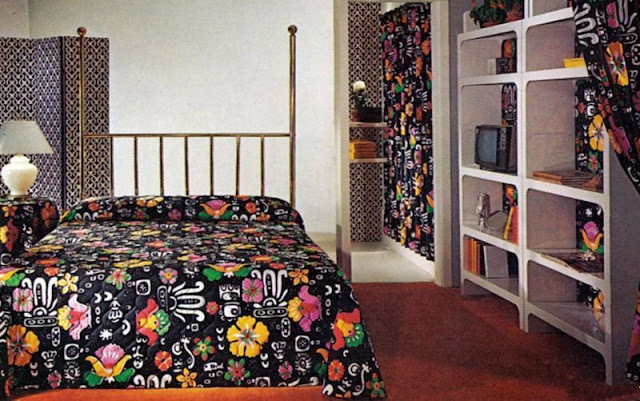 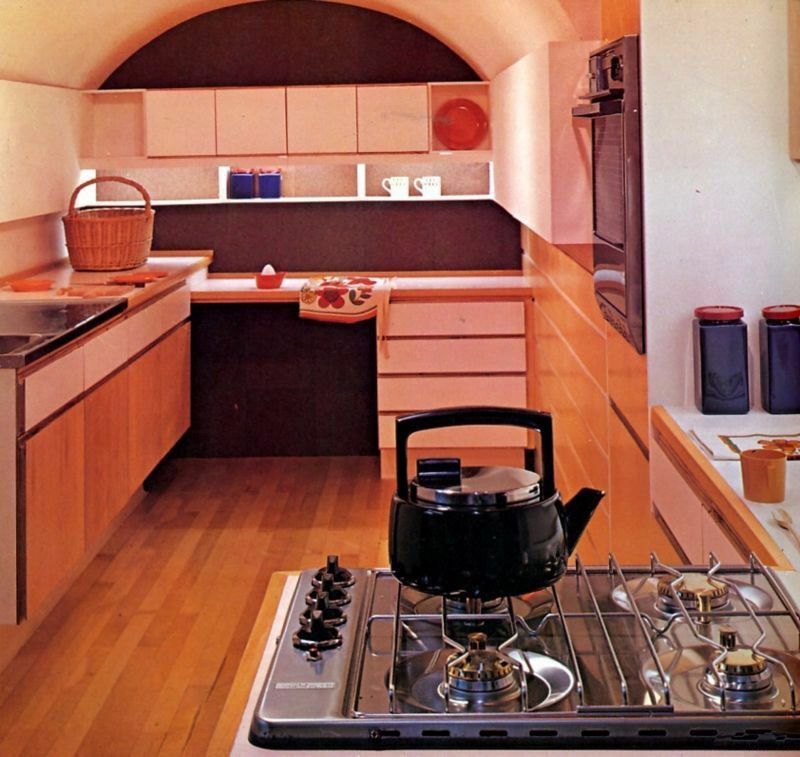 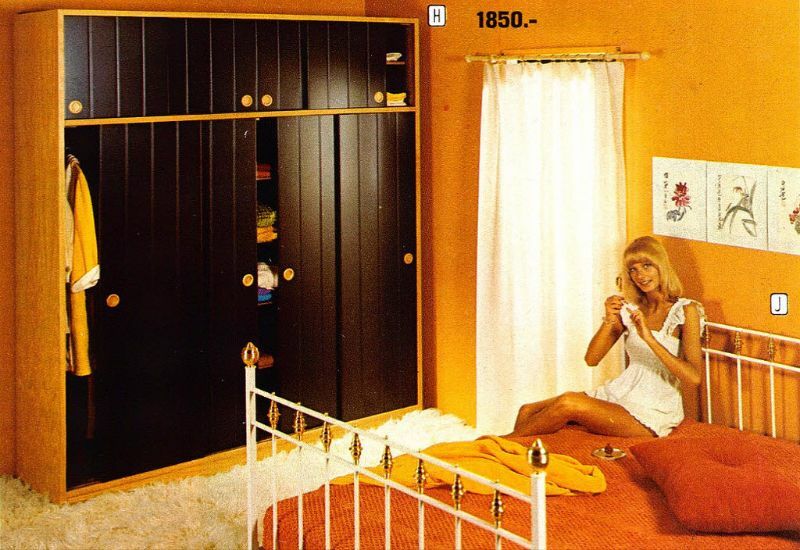 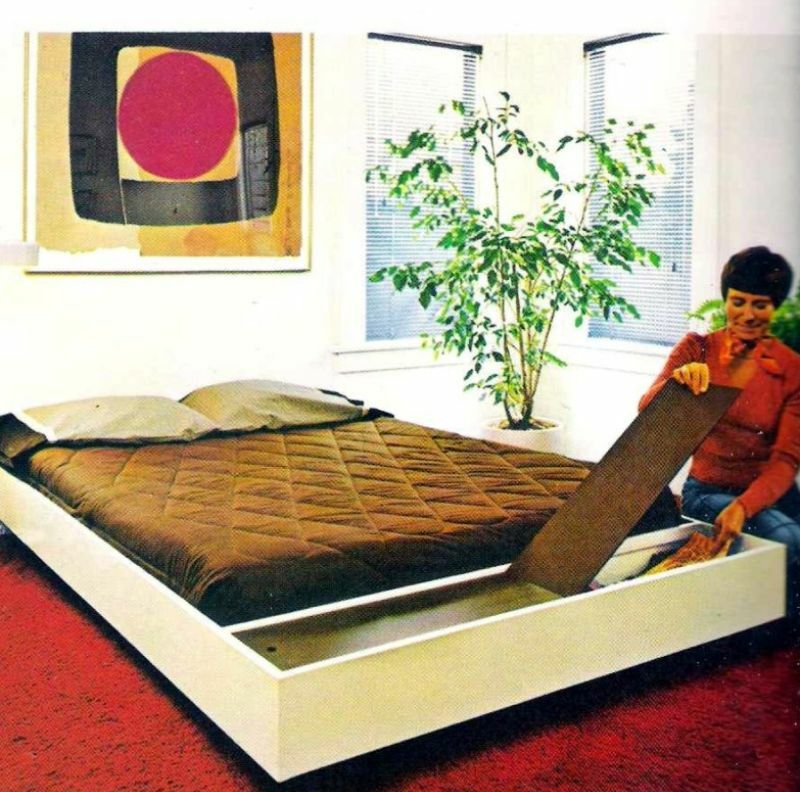 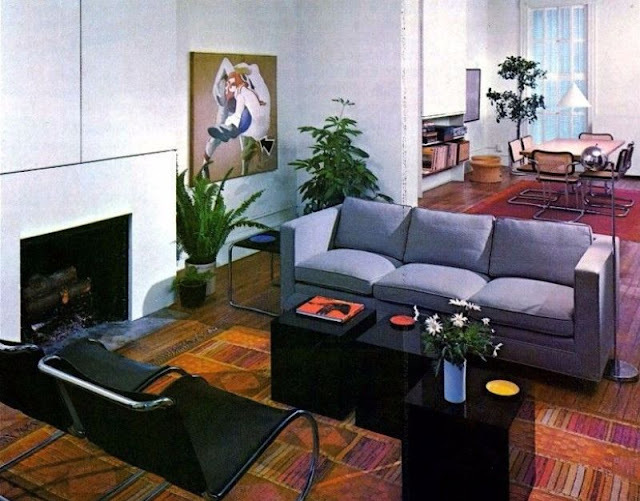 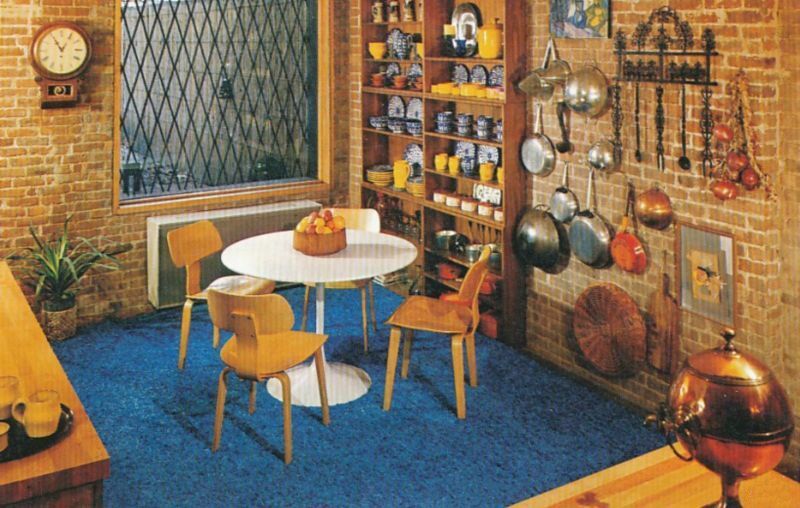 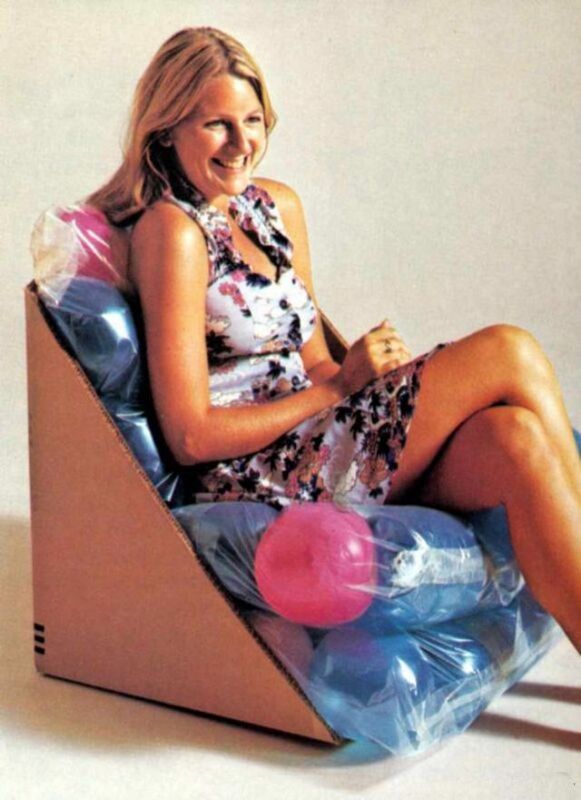 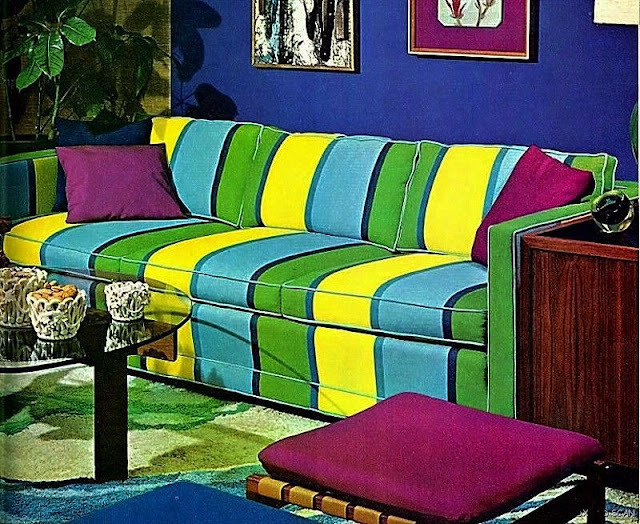 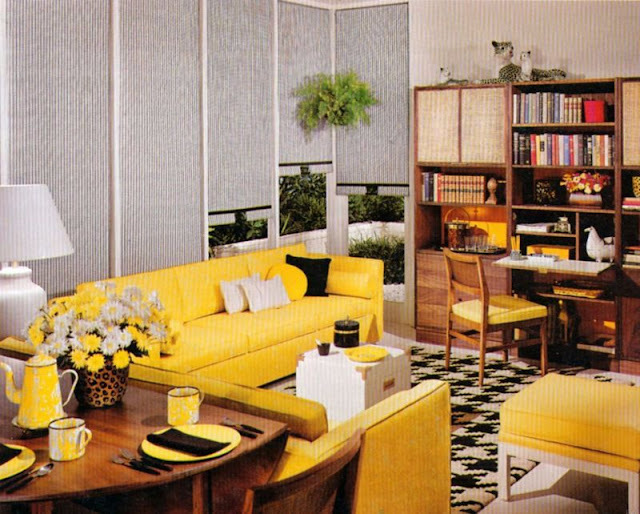 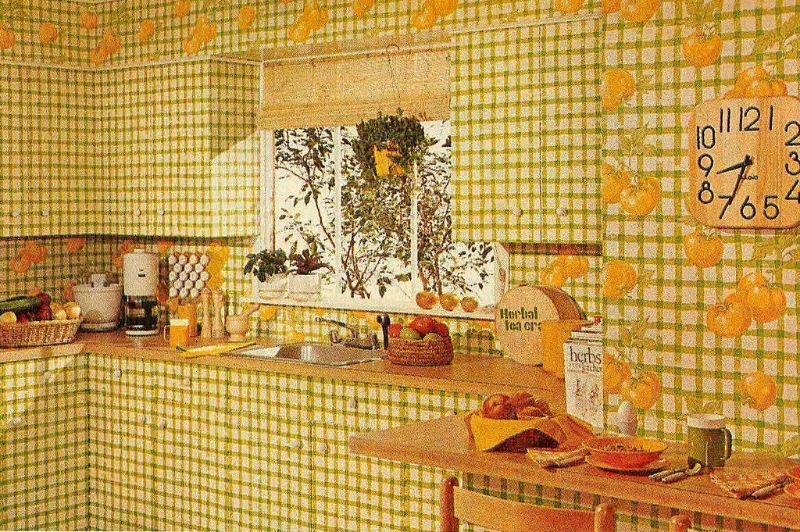 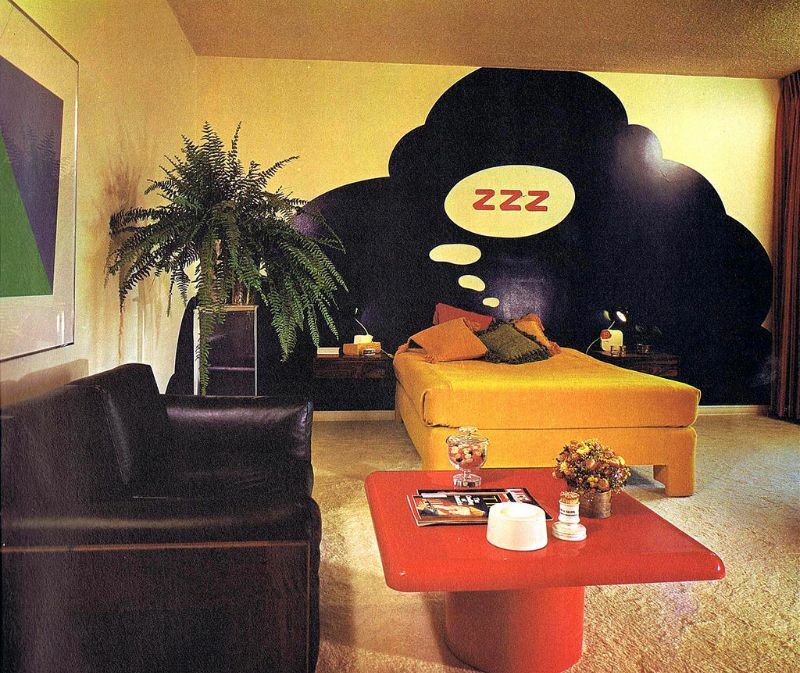 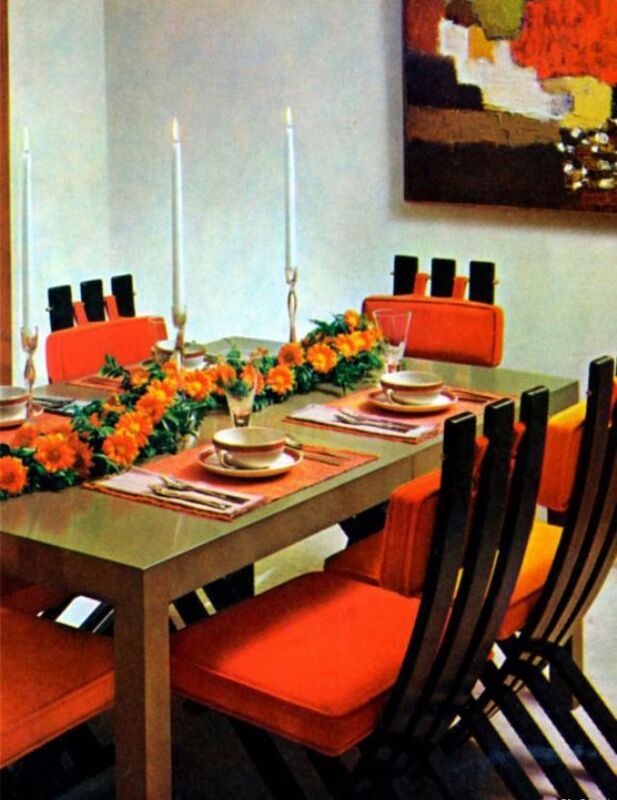 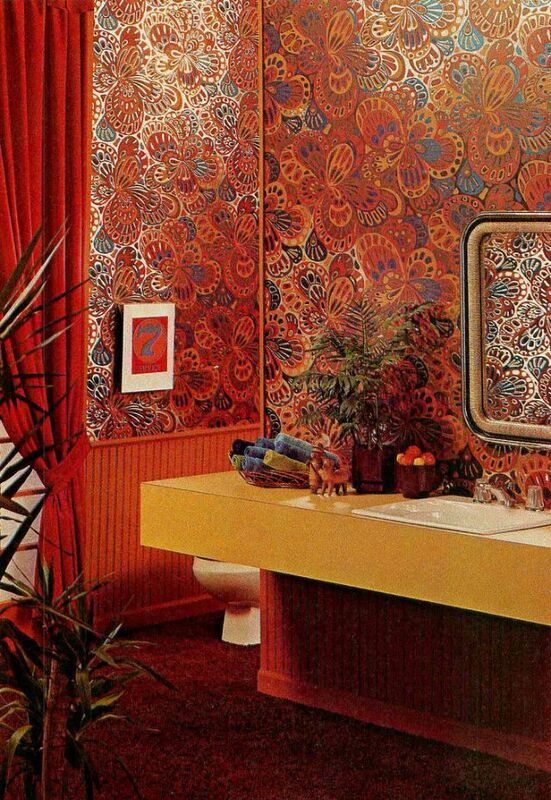 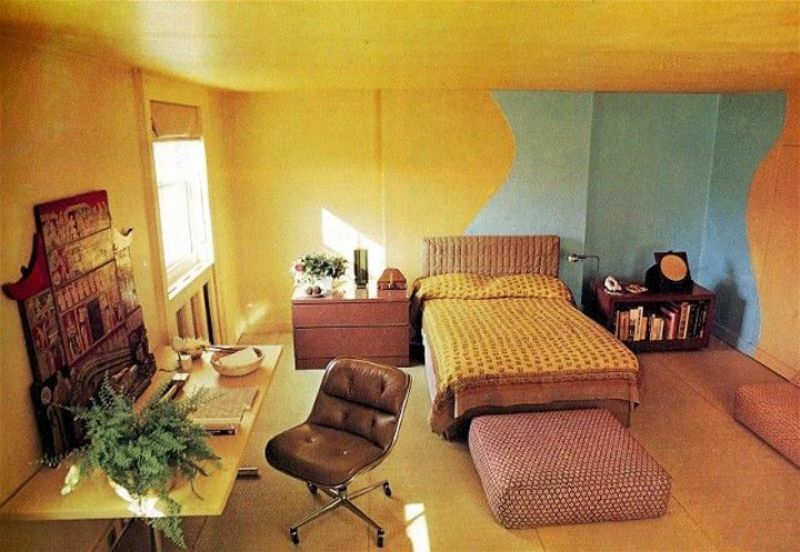 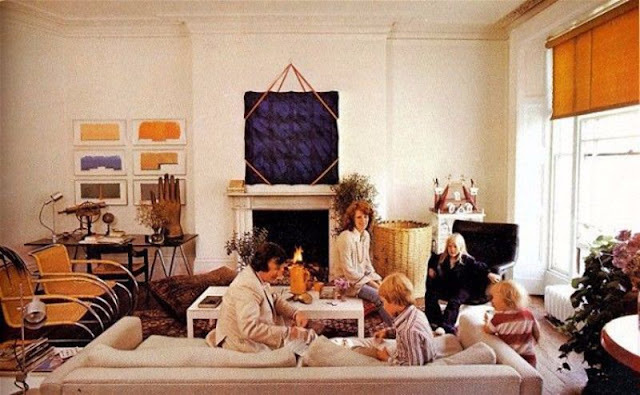 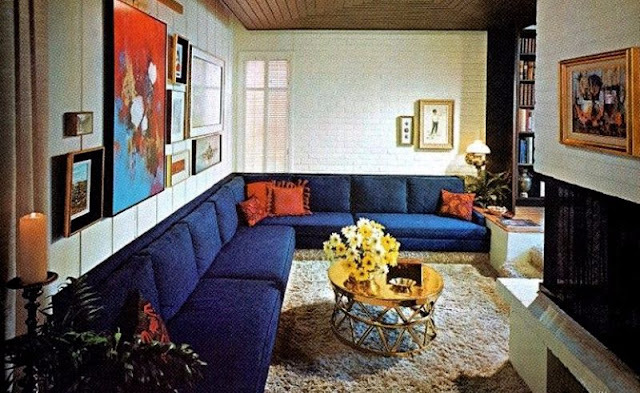 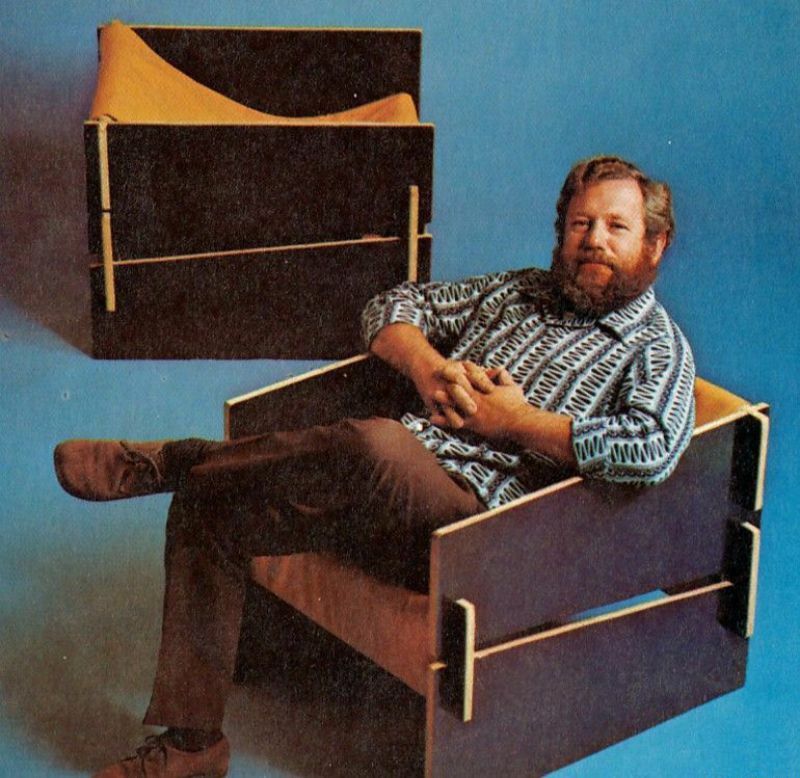 These colorful pictures show what furniture in the 1970s looked like.